Dr. Angelos Konstas joined The Hill Medical Corporation in 2015, specializing in Neurointerventional Radiology and Diagnostic Neuroradiology. Dr. Konstas established the Endovascular Stroke Center at Huntington Hospital, where he treats acute ischemic stroke patients by performing emergent mechanical cerebral thrombectomies (minimally invasive clot-retrieval procedures from brain arteries of stroke patients). Thanks to Dr. Konstas The Hill Medical Corporation/Huntington Hospital is one of the only handful facilities in Southern California that offer 24/7 endovascular stroke services. Acute stroke is a devastating disease with high mortality and long term disability. Most of the patients operated by Dr. Konstas are able to go back home with minimal or no significant neurological problems. Dr. Konstas also performs a wide range of minimally invasive brain and spine procedures (diagnostic catheter cerebral angiograms, cerebral aneurysm coiling, carotid artery angioplasty and stenting, embolization of cerebral malformations, pre-operative tumor embolization, epistaxis treatment, embolization of facial and neck malformations, dural venous sinus stenting for idiopathic intracranial hypertension, and vertebral augmentation procedures for compression fractures). 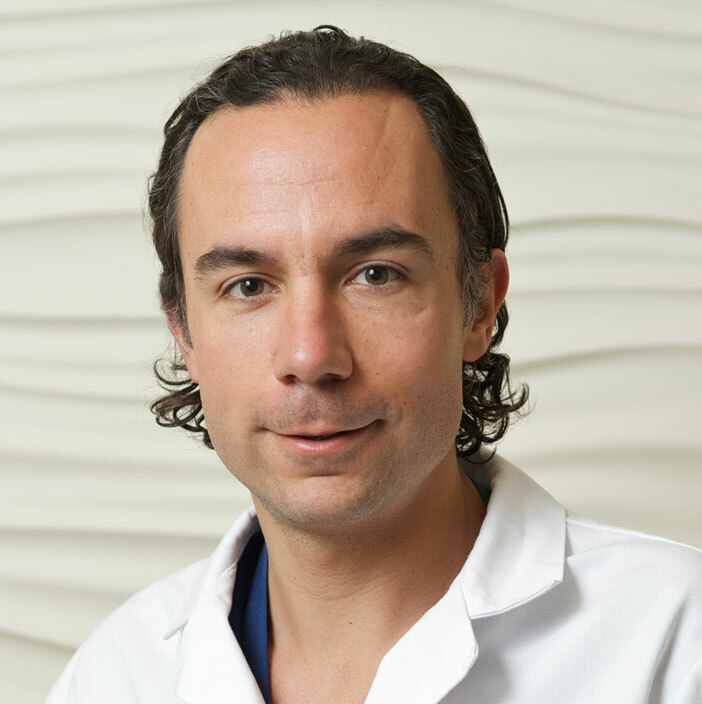 Dr. Angelos A. Konstas has completed fellowships in Interventional Neuroradiology and Diagnostic Neuroradiology at the UCLA Medical Center in Los Angeles, California. Dr. Konstas received his medical degree and a PhD from the University of Oxford, UK. In 2011, he completed a Diagnostic Radiology Residency at Massachusetts General Hospital of Harvard Medical School in Boston, Massachusetts. In addition to his medical training, Dr. Konstas was research scientist in interventional neuroradiology at Columbia University Medical Center, NY. He has published over 30 peer-reviewed studies; his research focus is in acute stroke intervention. Interventional Neuroradiology, UCLA Medical Center, Los Angeles, CA. Diagnostic Neuroradiology, UCLA Medical Center, Los Angeles, CA.